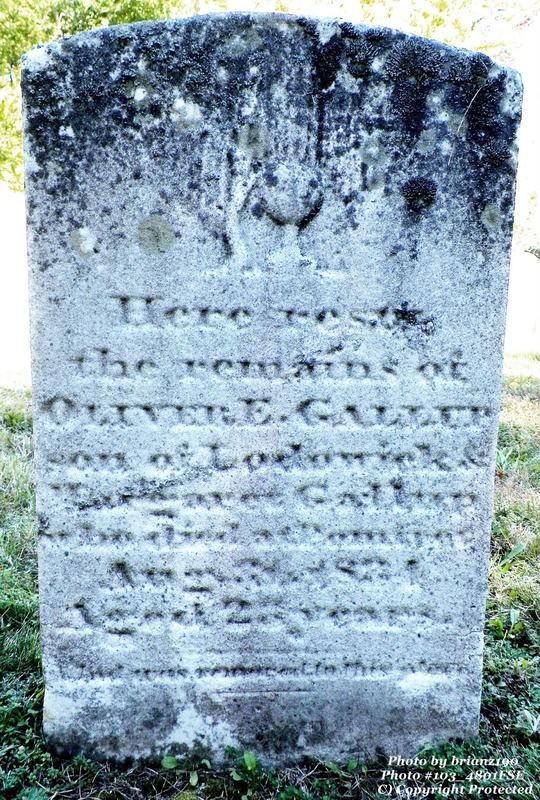 Oliver Ebenezer GALLUP was the son of Lodowick GALLUP and his wife Margaret PHELPS and was born 24 April 1811 in Groton/Ledyard, New London, CT. He died, unmarried at the age of 23 on 31 Aug 1834 in Pomfret, Windham, CT. He was baptized and joined the church as an adult on 21 Oct 1827 at the age of 16 and it is this record that provides his middle name. 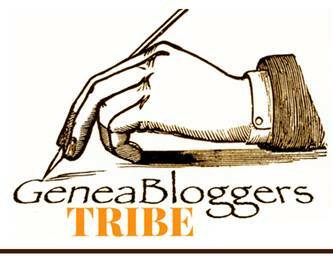 He was the sixth child in this large family and he is listed in the Gallup (2009) genealogy as #1413 on page 192. 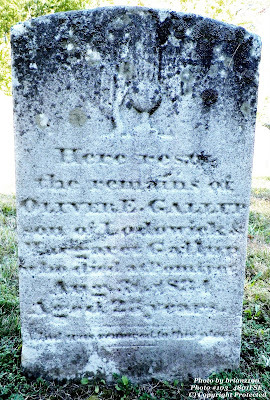 His father was 61 when Oliver died and it is unknown when Oliver left home and moved to Pomfret. In 1830, there were 13 people living in this family of his father, Lodowick GALLUP. Except for the genealogy, the only other record of his location of death is on his gravestone. The weeping willow weeps for the lack of information about the life of Oliver E. GALLUP.